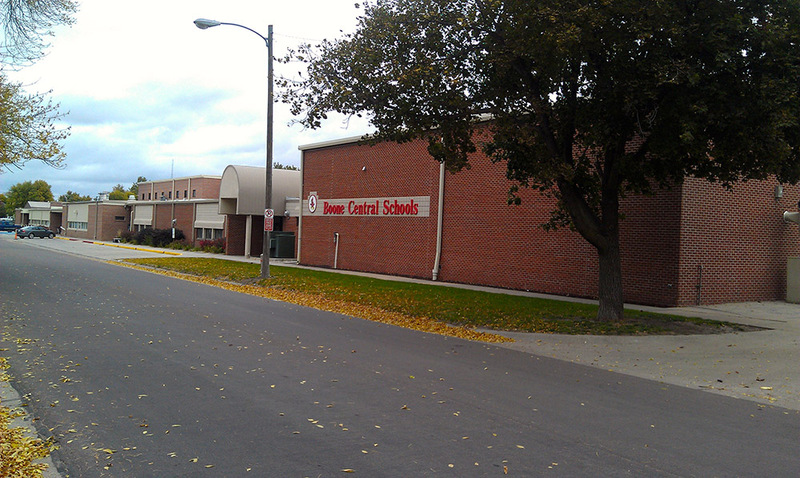 The Boone Central Public School District covers approximately 125 square miles in Boone and Antelope counties. This Class 3, Type K-6, 7-12 district is accredited by the State of Nebraska and the North Central Association. It is estimated 100 percent of the eighth grade students in Boone County finish high school, 89 percent of the high school graduates pursue a college education, and 11 percent enter the labor market. Boone Central Public Schools currently enrolls 580 students. The Educational Service Unit (ESU) #7, headquartered in Columbus, serves Albion. The ESU provides cooperative services to schools and leadership in improving the quality of education. Services are approved by the school districts through a representative process. St. Michael's Catholic School in Albion serves preschool through eighth grade students and is recognized by the Nebraska Department of Education as an accredited school. In addition to required classes, students also receive instruction in religion, music, computers, library, and choir. Enrollment is open to Catholic students as well as students from other religious denominations. The Albion Public Library is located at 437 S. 3rd Street, Albion, NE and was built in 1908. An addition was added in 1976. The library currently contains 19,874 copies and 22,443 titles of volumes. The library offers services for all ages in a pleasant and cozy atmosphere. The Albion Public Library is a member of the Boone County Library Association. NorthStar of Nebraska in Columbus serves adults with developmental disabilities in 22 northeast Nebraska counties, including Boone County. The agency provides habilitative/vocational training and residential services.